While secondary education is generally not a high-paying career, the many factors influencing final take-home pay can grow a secondary teacher salary by several thousand dollars. Whether you’re currently searching for your next job—with available means to increase your income—or simply looking to make a little more cash without changing schools, this guide can help. Though the average secondary teacher salary (base wage) is ~$51,500, overall pay approaches $53,917 when accounting for all school-related earnings. One of the most common ways secondary educators augment their base salary is by overseeing extracurriculars. In general, a middle school teacher salary can be easily built up directing any club, even without much background in the specific area of interest. At the high school level, however, aim to oversee activities that are within your realm of experience. Other potential wage add-ons include merit pay (available only at select schools), teaching summer school, or tutoring after school hours. College applications assistance is a great opportunity for supplementing high school teacher salary (e.g. SAT or ACT preparatory instruction). If you find there are no openings for other positions in your school, try searching for part-time educational services in your area. Another determining element for secondary teacher salary is highest degree obtained. A teacher with two or fewer years of college education will likely make less than the national average, while those with graduate degrees may exceed the average by $5,000–$9,000. When searching for your next job, consider positions that offer tuition reimbursement. This way, you won’t have to sacrifice your own cash to get that Masters and the pay raise that goes with it. Just because secondary teachers are certified to work with grades 7–12, that doesn’t mean that all levels pay equally. The median annual high school teacher salary is $57,200, compared to the somewhat lower middle school teacher salary of $55,860. However, the pay cut may be worth it if you enjoy working with a middle school age group more than the high school teenagers. Consider content matter and students’ developmental stage to determine your best match. Student needs and required accommodations also influence salary. Those with an extremely high percentage of students with Individualized Education Programs (IEPs) or limited-English proficiency (LEP) make slightly more (~$2,000) than those with a more balanced population. Before committing to a position based on this data, however, you should be aware that secondary teachers with a greater concentration of students with IEPs are commonly satisfied with their careers, while those with higher levels of LEP students report greater dissatisfaction. Educators employed in the public sector earn approximately $12,290 more per year than those in the private sector. Private schools are not required to hire teachers with state certification, however, and so are a great option for aspiring educators without a traditional background. These professionals also report greater satisfaction with their career paths and spend fewer total hours per week on teaching tasks than those in the public sector. While the prospect of some extra cash is exciting, remember that teacher burnout is a serious concern. 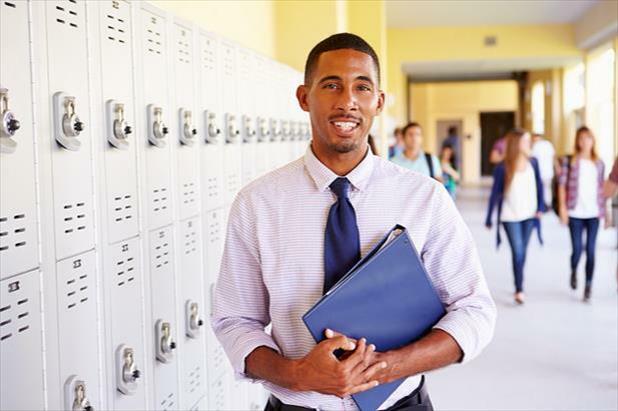 When hunting for your next job, make sure to consider factors impacting your overall job satisfaction like the ability to influence school policies regarding your students (such as discipline procedure and performance standards), a supportive and encouraging school administration, or student/teacher ratio. Reflect on your capabilities, passions, and teaching/internship experiences to determine your ideal career path and maximize your secondary teacher salary. Total School-Related Yearly Earnings and Base Salary for the Entire 2011-12 School Year by Selected Secondary Teacher Characteristics. & Correlation Matrix Indicating Likelihood of Maintaining Current Career if Given Chance to Repeat College and Selected Secondary Teacher Characteristics (2011-2012). – U.S. Department of Education, National Center for Education Statistics (NCES), Schools and Staffing Survey (SASS), Public and Private Teachers Data File 2011-12. Computation by NCES PowerStats on 1/3/2017.